Seussical is a series of Dr. Seuss stories. The main story is about Horton the elephant, who hears a small dust speck speak. The dust speck is actually the planet of Who. Horton makes fast friends, including JoJo, a small Who, who thinks strange “thinks” and invents strange creatures. Also along on the journey is Gertrude McFuzz, and her one feathered tail. 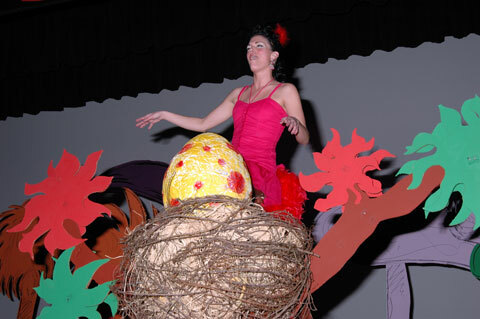 And Mayzie LaBird, her fabulous tail, and her egg, which she forces upon Horton.